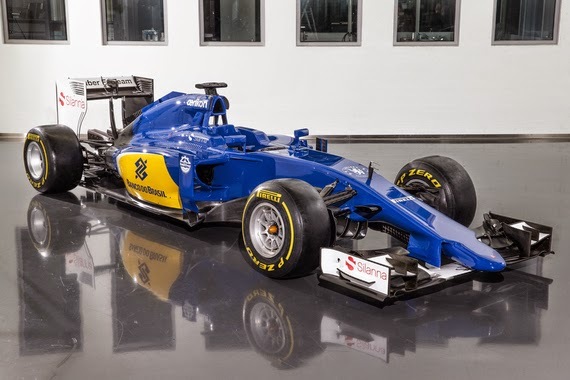 And lastly, we're left with the "Dregs" 'O the grid, albeit seventh place AIN'T nothin' to complain about, while surely Sauber hopes to put its worst season ever into its rear view mirrors! 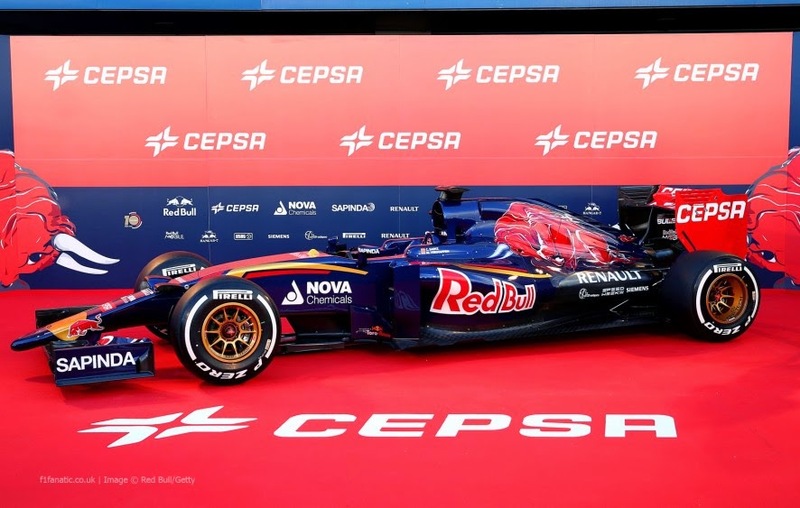 Now in its eleventh season as Red Bull's 'lil Seester, nee 'B-team, Scuderia Toro Rosso fondly began life in 1985 as the Minnowesqe Minardi F1 Team founded by Giancarlo Minardi, and subsequently taken over by Scuderia Italia, whom Minardi sold a majority of his team to when merging forces in 1994 to stay alive. Then "Flavour Flav," nee "HMS Monogram," aka Flavio Briatore bought into the Back-marker, before Gabriele Rumi got involved, first as a sponsor in '96; and ultimately 'OZ businessman Paul Stoddart took over control in 2001, when he bought the team from Rumi. Yet, the feisty Aussie team owner Stoddart, who raced with the smallest budget on the F1 Grid, threw in the towel late 'Twenty-oh-five and sold the outfit lock, stock 'N barrel to "Deeter Majestik," (Dietrich Mateschitz) who promptly turned it into today's 'lil Bulls squad, nee Scuderia Toro Rosso with Helmet Marco as its proverbial overseer, albeit Franz Tost is its official leader. Alas, the Faenza based Toro Rosso outfit has a nasty reputation for tossing out promising F1 Drivers like old bathwater, seeking drivers more notably for their marketing appeal then necessarily their talent, as a finishing school for aspiring racing drivers to promote to the B-I-G' BULLS, aka Red Bull team - with the likes of Sebastian Vettel, Daniel Ricciardo and Daniil Kvyat having all graduated to Red Bull drives. Peter Sauber began building Sports Car racers in the 1970's and soon became Mercedes "Works" Prototype chassis builder, after installing Mercedes V-8 turbocharged engines in the back of his racecars in the 1980's; returning the famed "Silver Arrows" to motor racing and ultimately leading to winning the coveted 24 Heurs du Mans in 1989 and the World Sports Car championship in 1990, both for Mercedes. Sauber's Sports Car drivers included senior drivers Jochen Mass, Jean Louis Schlesser and Mauro Baldi, whilst the "Junior Team" consisted of three Blokes named Schumacher, Frentzen and Wendingler, as the trio all graduated to Formula 1 shortly thereafter. And yeah, that Schumacher was eventual seven times world champion Michael, who's debutant F1 drive for 'EJ's (Eddie Jordan) team was paid for by the three pointed star concern, with Messer's Heinz-Harald (Frentzen) and Karl (Wendlinger) becoming Sauber's original two Formula 1 Piloto's for his debutant season as an F1 Constructor in 1993, propelled by Mercedes Benz Ilmor 3.5-liter V-10 normally aspirated 'lumps. For 1995-96 Sauber was the "Works" Ford V-10 team with less than satisfying results, before switching to its long running customer Ferrari relationship along with "Deeter Majestik's" (Dietrich Mateschitz) 10yr Red Bull partnership, before Sauber's insistence to run somebody named thee "Iceman," nee Kimi Raikkonen over Mateschitz demands for Enrique Bernoldi to be installed instead led to the Red Bull magnate buying Jaguar from Ford - and the rest is history. Then Messer Sauber boldly put Monisha Kaltenborn in control, making the Indian lawyer the first female Team Principal in Formula 1 history, whilst the team just endured its worst season ever in F1 last year, scoring zero points, and finishing tenth, one place behind bankrupt Marussia F1 in the coveted Constructor's race!